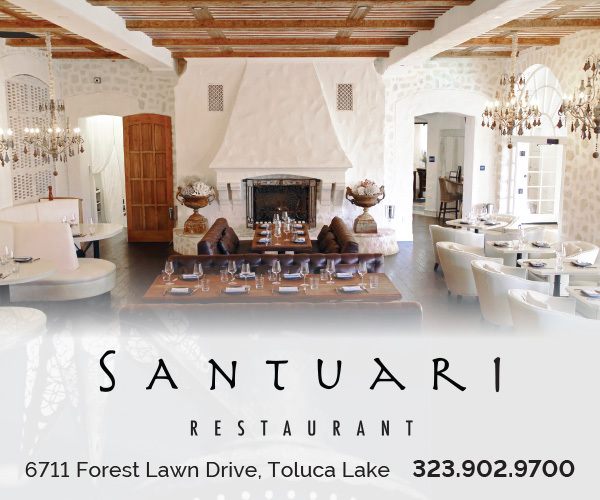 Break out your haunted house décor and get your costumes ready — it’s almost time for one of Toluca Lake’s spookiest traditions! No one does Halloween like this neighborhood, and as fall begins, Cinema Secrets is busy shapeshifting into Halloween Headquarters. 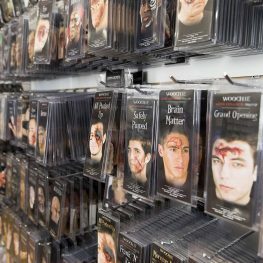 Offering special-effects makeup, wigs, accessories and prosthetic mask kits, Cinema Secrets is ready to help customers create their own unique looks, with trained experts on hand to offer tips of the trade to walk-ins or makeup transformations by appointment. 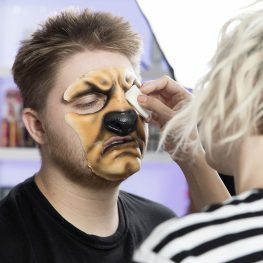 HOLLYWOOD FX AT HOME Makeup artist Jamie Kelch turns Jake Stacy (first-time model and grandson of store general manager Ron Vine) into a werewolf with a Woochie mask kit. Photo by Daniel Deitch.